The Brock Social Entrepreneurship Program matches a new generation of business leaders passionate for their community with the skills to address today's social problems. 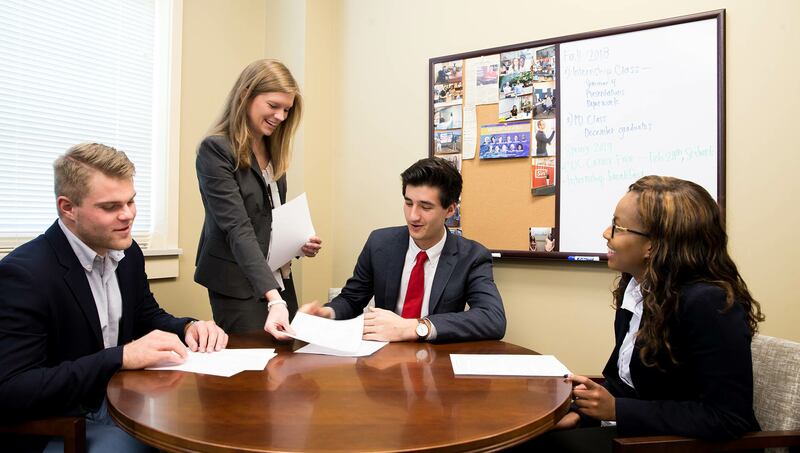 Samford's Social Entrepreneurship Program offers classes in the core business disciplines of economics, finance, accounting, management and marketing while matching a student's goal of pursuing opportunities in the business and nonprofit world dedicated to helping solving society's social problems. The Social Entrepreneurship program is designed to teach a new generation of business leaders the skills necessary to address today's most difficult social problems in their community. The companies and organizations that engage in Social Entrepreneurship range from Fortune 500 companies to nonprofit organizations. In today's world, multinational companies such as Google, Coca-Cola, 3M Company, Cisco and Target embed their commitment to social causes within their core corporate mission. Their commitment to social causes helps them tackle many social issues such as dealing with the environment, improving education, development of communities and researching clean energy alternatives. Our innovative curriculum teaches Brock School of Business students the skills necessary to help solve the social problems businesses face or are committed to in the world today. Our Social Entrepreneurship program is one of 30 programs worldwide and one of the only academic program of its type in Alabama. The Social Entrepreneurship concentration is uniquely designed to match the core mission of the moral foundation at Samford with a student's desire to help their community. Our distinguished faculty at Alabama's largest private AACSB-accredited business school offers Social Entrepreneurship students an unique educational experience. Each day, nonprofits, businesses and government agencies face daunting and complex social problems. These social problems deserve to be solved by passionate, sophisticated and technically competent entrepreneurs who are willing to think creatively and who operate efficiently and effectively to find a solution. The graduates of Brock School of Business Social Entrepreneurship program have the critical problem solving skills and passion businesses need to be successful in today's global marketplace. If you need further information about this concentration, please contact Dr. Jeremy Thornton, Dwight Moody Beeson Chair of Business, Professor of Economics.